At a meeting at the Holy See Armenian President Serzh Sargsyan and His Holiness Pope Francis hailed the high-level relations between Armenia and Vatican, emphasizing that those relations built on a solid basis stem from the same Christian value system and ideology. The interlocutors attached importance to the high-level reciprocal visits over the past years, which testify to the willingness to keep the bilateral relations in the focus. Serzh Sargsyan and Pope Francis exchanged views on the close cooperation between the Holy See and the Mother See of Holy Etchmiadzin. 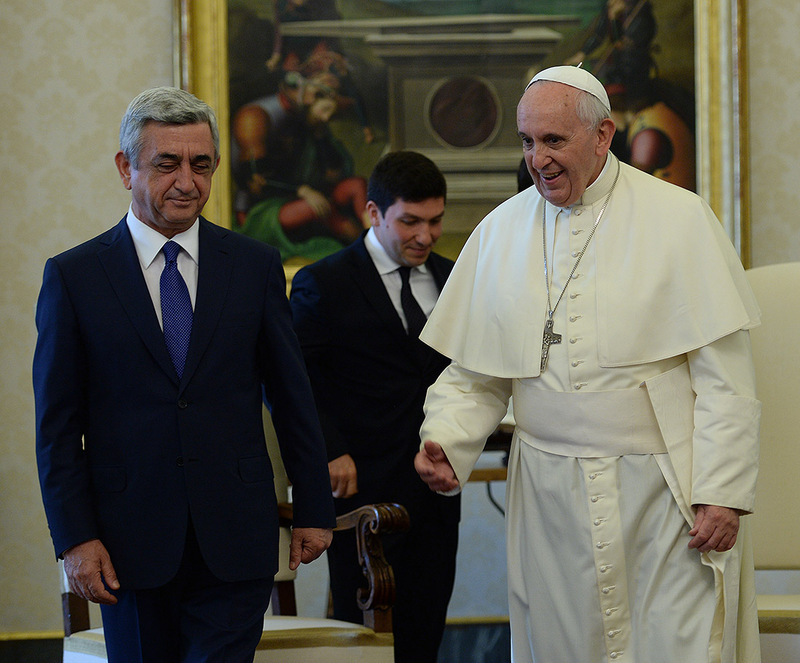 During the meeting President Sargsyan extended an official invitation to Pope Francis to visit Armenia in 2015, which the Pontiff readily accepted, expressing his sincere desire to visit the country, according to the President’s office.